Allison’s favorite book is The Alchemist by Paulo Coelho, a story about focusing on your own journey. Allison is certainly doing that. 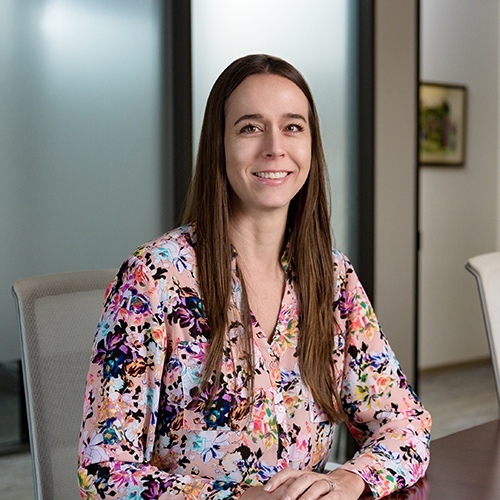 She played basketball in college and has moved from New Jersey to El Paso to Chicago and finally settling in Austin, where she fits perfectly as a member of the Wealth Planning team. Allison got started with financial planning at an early age. Her father taught the importance of planning and saving and would borrow money from her to pay it back with interest as a lesson. She sees all the aspects of financial planning as pieces to a puzzle and loves helping our clients figure out how to fit everything into place in the right order. Doing the right thing by clients is important to Allison and is what most attracted her to Austin Asset. In her free time, you can find her and her husband in the great outdoors, playing golf, mountain and road biking, hiking, rock climbing and running – or traveling to their next beach vacation! Pizza. I don’t’ think I can ever get sick of it. Where is your favorite vacation spot? Where would you like to visit? Cayman Islands. The island is beautiful, water is crystal clear, and the food is amazing!